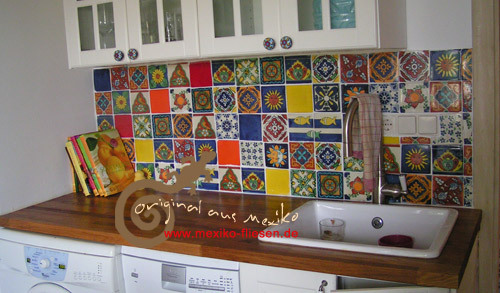 Hand craftet mexican tiles - directly imported from mexico. 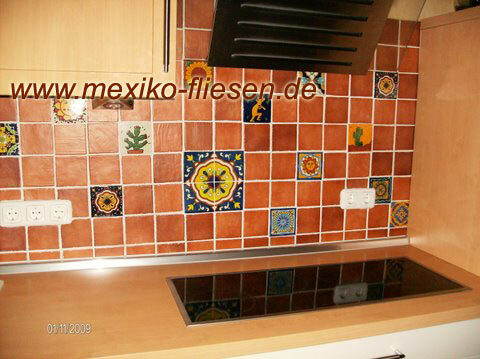 The tiles are handmade "hecho a mano" with the dimensions of 5x5 or 10x10 cm but they turn out a little bit bigger. 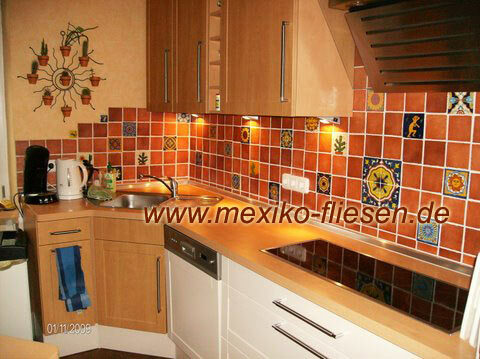 These tiles are made for walls in the kitchen or in the bath room. 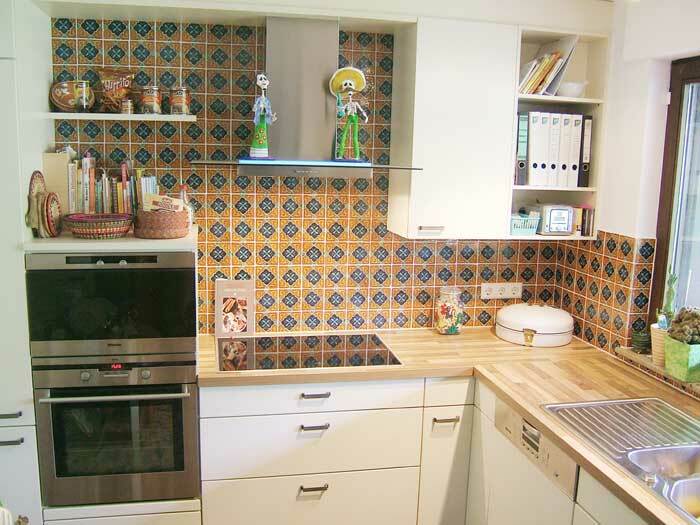 We deliver these tiles all over europe. Ask for our delivery conditions. Our warehouse with showroom is located in the northern of germany near the border to the netherlands. We helped customers all over europe. 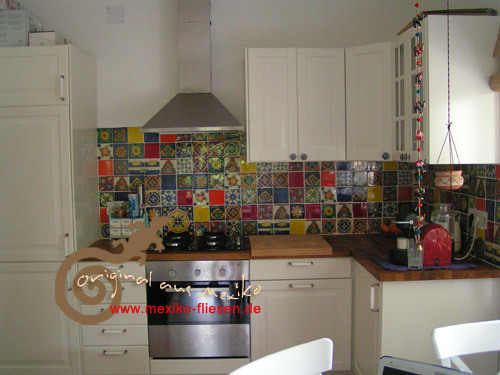 Experience with mexican tiles since 2004. 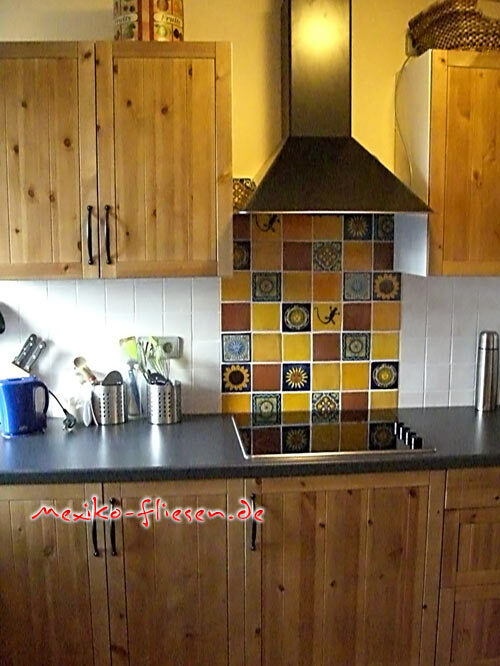 Order your example tiles today. 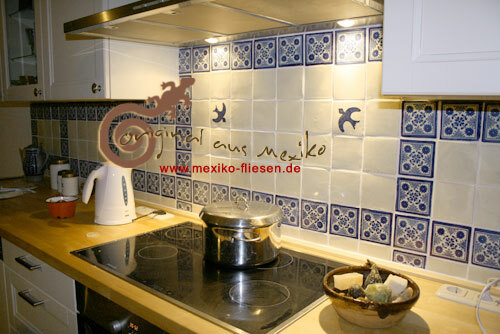 and Mexican White (Zum Produkt). 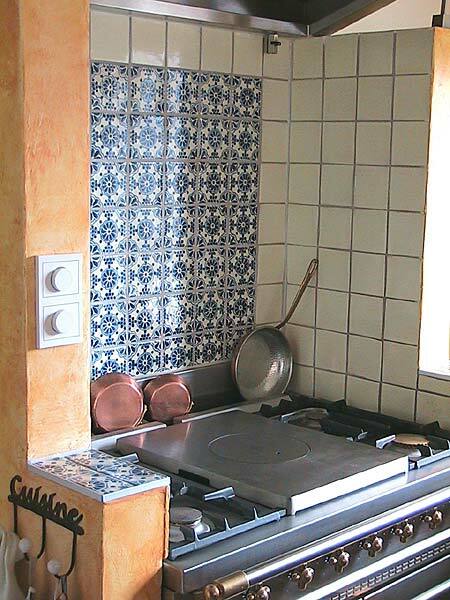 One of our best selling tiles: Avila (Zum Produkt). 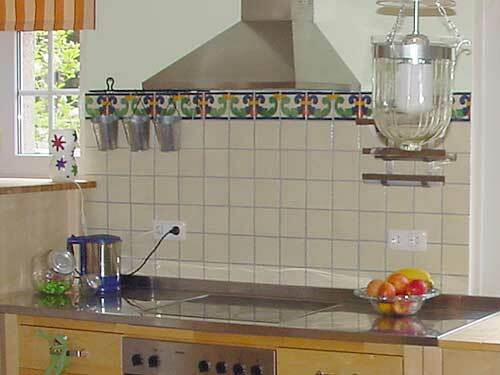 A splash guard with mexican tiles..
You are living in europe? We deliver the tiles - in a good wrapping - all over europe. Its neccessary to oil the terracotta tiles at the right time. 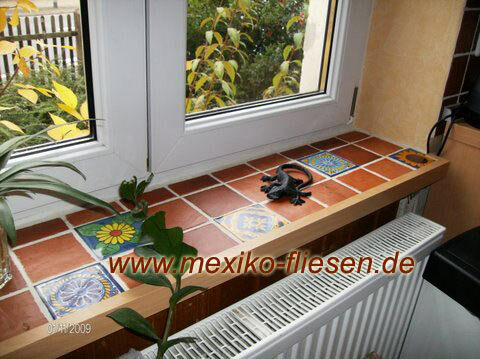 Window sill tiled with mexican tiles. We say thank you to all of our customers for all the nice pictures of their work.